If a hard-boiled egg is spun fast enough on a table, it will slowly stand upright as it continues to spin. 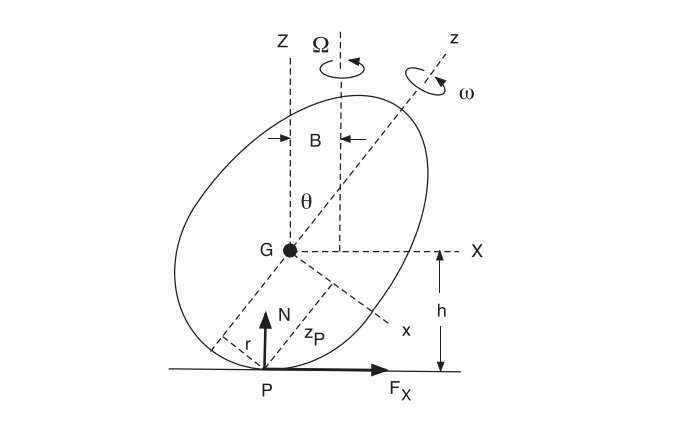 Although the spinning egg rises due to the force of friction between the egg and the table, the full explanation involves a relatively complex set of equations. In an attempt to explain the concepts to a broader audience, physicist Rod Cross at the University of Sydney has sought a simpler explanation of the rise of a spinning egg. "Spinning eggs have been studied for more than 100 years, but there has not previously been a simple explanation for the rise, either of spinning eggs or the tippe top," Cross told Phys.org. "The essential physics cannot be conveyed to an undergraduate student or to a physics teacher by explaining that an egg rises because the equations predict that it will rise. "Part of the problem is that there have not been enough experimental measurements to pin down the separate roles of sliding and rolling friction in causing the egg (or tippe top) to rise and then causing it to stop rising if it is not spun fast enough." In experiments with a solid aluminum spheroid, Cross demonstrated an important characteristic of the spinning egg, which is that it precesses (i.e., rotates) about two different axes. The obvious rotation is that in the direction which it spins, about the vertical axis. 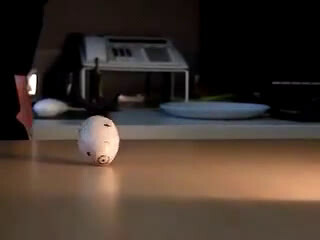 The egg also rotates about a horizontal axis as it stands up on its end. The new study shows that rotation about the horizontal axis is due to precession, and that the precession itself is due to the horizontal friction force. If the egg starts rolling, then the friction force drops to zero and the egg stops rising. On the other hand, the precession of the spinning egg about the vertical axis is caused by the normal force (from the table pushing up on the egg), rather than friction. The experiments also confirmed another related characteristic of the spinning egg: the faster the egg spins, the more vertical it stands. If the egg spins too slowly, it won't rise at all. Again, the explanation can be traced back to the force of friction, since slow rotation causes the egg to roll instead of slide and stand up. Cross also found similar explanations for the inversion of a tippe top and the slow fall and rapid precession of spinning coins. You think that simulations aren't based on *very solid* math that needs to be understood before you use them? Wow...you are so deluded. Taken your meds today, have you? BTW If you don't know about it, it also answers the question, if someone has to understand the math used by numeric solver before (being able to) using it. Of course you don't have to understand it. For example https://www.youtu...0p8sSfpQ can be used without any knowledge of math actually. Because it always boils down to one thing: You're dumb as rocks? There's really no point for you to be anywhere near a science site (or even just a science journalism site like this). The stuff that goes on here is so far over your head it's not even funny. You don't even understand the meaning of the word 'science' - and it show in every post you make. To use a simulation you have to know what it's based on. Otherwise you run the risk of using the wrong simulation and producing garbage output (a phenomenon not uncommon e.g. in statistical analysis where use of the wrong statistical measures can skew the results). If you are not aware of what a simulation approximates and how well then you won't be able to confidently draw conclusions from the results. The uncooked egg can not last longer and rotate properly. Why? If this is to be solved, then it is much easier to find a solution for boiled eggs. Cooked egg is a non-homogeneous and asymmetrical ellipsoid. It has its center of gravity and, whatever it is, on the ground, the point of the support does not stand on any axis passing through the center of mass. If you eat any rotation. there will be a movement composed of two spins: a rotation around the axis of the axis and a rotation of the center of mass around the point of the support. This occurs on the sinusoidal radius of the center of mass around that point.